As part of the enabling works for the redevelopment we are undertaking essential works to the hot water system in B Block. Water and WC's in the Staff change areas will also be effected on the 2nd, 3rd and 4th Floors of B Block but will still remain open. 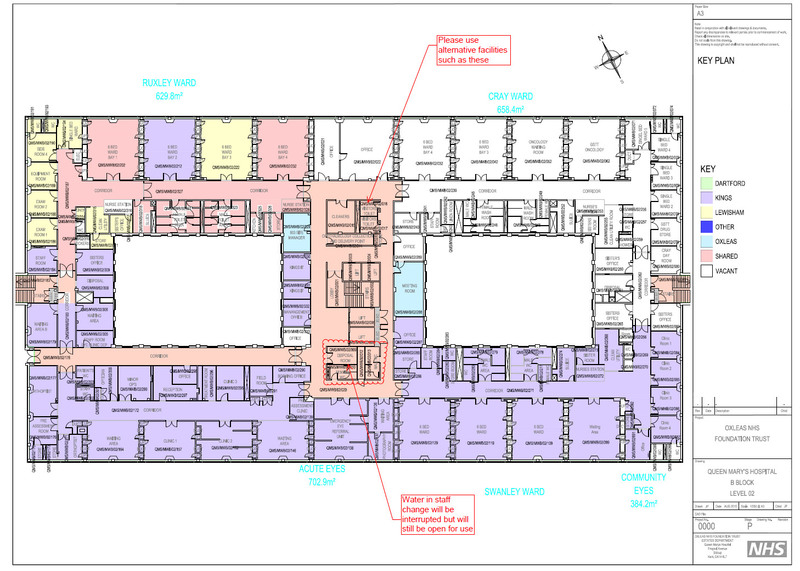 Staff will need to use alternative WC's on the floors as per this floor plan. If during the works there are any issues please contact switchboard, dial 0. Switchboard will then contact the contractor and/or the Senior Project Manager/Head of Estate Development. The Care Quality Commission (CQC) is the independent health and adult social care regulator, visiting all NHS trusts before June 2016.